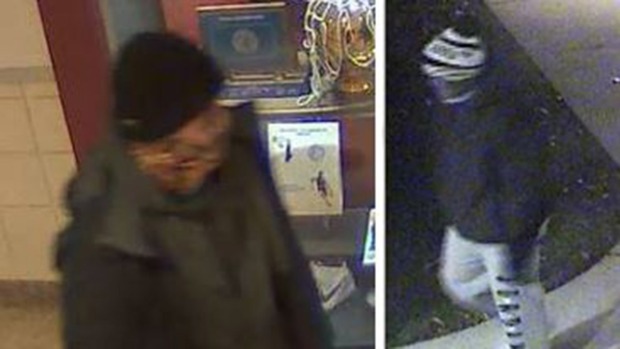 A thief broke into the Lower Merion High School and stole NBA legend Kobe Bryant memorabilia. NBC10’s Ted Greenberg has the latest on the search for the burglars, as well as Kobe Bryant’s promise to make this right. Memorabilia from Kobe Bryant's high school career was stolen from a display case at the former NBA star's school along the Main Line near Philadelphia. The theft from "Kobe's Showcase" outside the Bryant Gymnasium at Lower Merion High School was discovered by school officials on Sunday evening. 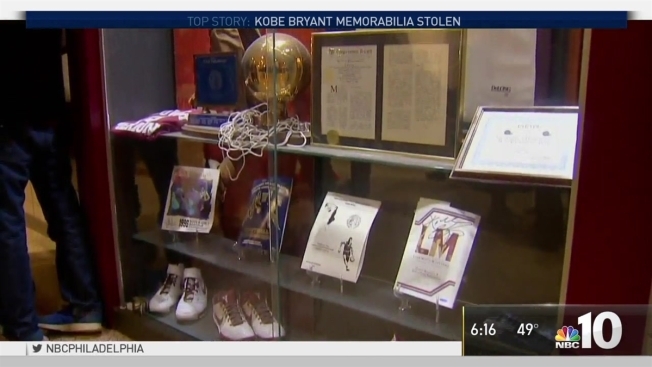 The thief busted a lock on the display case and took Bryant's framed high school jersey, several pairs of signed Nike sneakers and the 1996 state championship trophy and net. "We are saddened and angered that our school has been vandalized, but we are grateful that no one was harmed during the incident," Principal Sean Hughes and athletics director Don Walsh wrote in a joint email. School officials say the items have little monetary value, but "they do have a great deal of sentimental importance." "They represent a wonderful time of accomplishment, unity and pride for our school community -- the 1996 state championship -- and celebrate an alumnus who has made significant and lasting contributions to our school and the sports world," the email said. "The 'Kobe Showcase' has become a unique point of pride for our school and even a tourist attraction; many basketball fans from all over the world visit our school each year to take photos in front of the display and leave even more impressed by the warmth, kindness and spirit of LM students and staff."